Do you Repin Your Own Pins??? Where do we fall in the Food Chain? 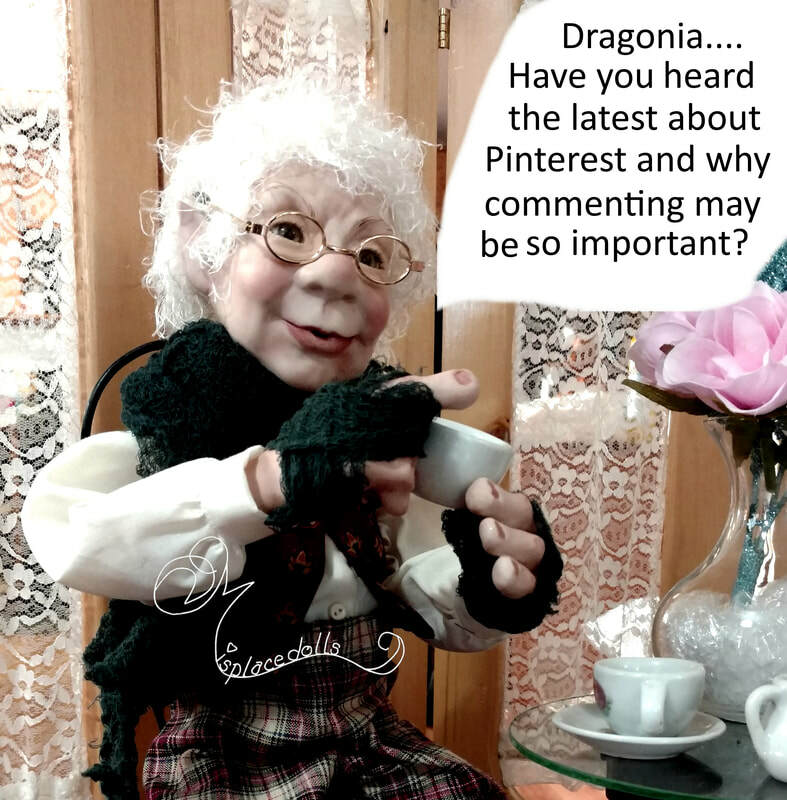 Well, Granny Flare is helping Snoop sort some of this out with this Week's Hint~~Pinning your own Pins - and here is why. ​From everything I have read so far is that Pinterest keeps always changing. Tell me something that I don't know already. So how do I get seen in this ever changing landscape of the Internet? After all, getting my business account to be seen is a large reason why I hang out on Pinterest. In reality, what I really want to do is use Pinterest to bring potential doll collectors, buyers, or interested people to my website. Websites really are almost dead in the water without social mediums like Pinterest to help them tread water and be rescued from the bottomless abyss of the Internet. A way that Pinterest rewards the business page is by giving it importance or authority when that business pins from it's own website. It is called 'confirming domain authority'... meaning that I am a real person with a real product and therefore a good and trusting site. ​So if pinners are coming to my website from a Google search and pinning me... or an Instagram platform (Snoop and I will have to look into this some more) and pinning me... or re-pinning me within Pinterest - these pinnings all go towards increasing my domain authority and bumping me up in the newsfeed or search. ​But this is where my pinning can also become a little stale. If I keep re-pinning or saving the same content over and over, I am not helping myself nor establishing my authority. And in fact, if I do it too much, it could appear as spam on the platform. ​In my case, I do all my posts by hand (so to speak), because I am not using any apps to schedule or make my posts. There are apps out there that could be used, but those you will have to find on your own as I am learning enough as it is (*smiling*). How do I keep up with the newsfeed requirements of trying to post on Pinterest every day and still be fresh? I go back to my website, re-post a picture again but with some new fresh content and hashtags#, and Pinterest sees this as a new post. Now these pins are referred to as 'fresh' pins instead of my re-pinning an old post over and over again.